Origin’s Copy and Paste Format is a huge time saver to make graphs with Consistent look. This blog will focus on how to make axis with consistent look. You can download copy_paste_axis_format ZIP file and use it if you want to follow the steps in this blog. X axis was set to log10. From 1×10^-8 to 10^-3, tick label in scientific notation. Y axis was set to from 0 to 100, with major grids all. Top and Right Axes are turned on. All Axes and tick labels are in blue. We want to apply it to other graphs in the same project. When you are customizing axis settings in Axis dialog, you may notice there is an Apply To… button. 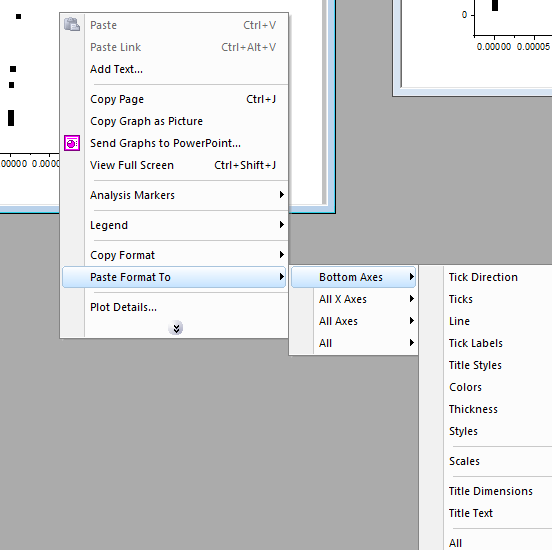 You can click it to apply some axis settings to other axis in same or other graph windows but it’s very limited. In the dialog that opens, you can only see tick label, line and ticks and grids nodes. And under each, there are only a few choices. E.g. 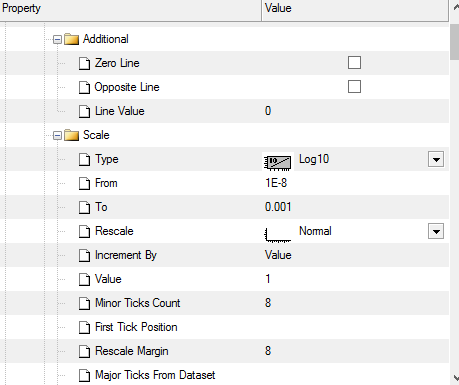 log scale, tick label scientific notation can’t be applied. So let’s cancel this dialog and close Axis dialog. Origin’s copy format is very sensitive to what was selected before copy format. E.g. try right click plot, right click axis title and right click in white area of graph and choose Copy Format, different context menus will show and different format will be copied. 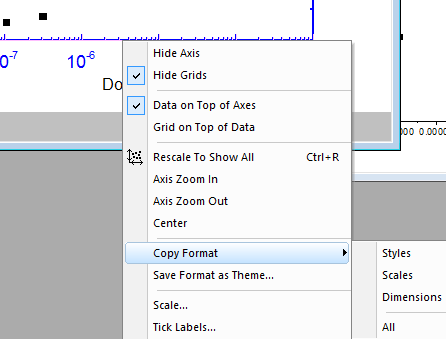 Let’s right click bottom x axis line and look at Copy Format: context menu, you will see Styles, Scales, Dimensions, and All. Style will copy color, thickness, etc. settings of the axis. Scale will copy from and to value, scale type, e.g. log10, etc. Dimension will copy axis title dimension. If you are not sure what you copied, you can always choose Copy Format: All and if you want to see what is on clipboard, choose Edit: Paste Format… menu. It will show in tree mode what properties you have copied. Let’s cancel the Apply Format dialog. Now go to Response2 graph window. You don’t have to right click on x axis, just right click in white area within the axis frame and choose Paste Format To context menu and pick where you want to paste to. Because we chose Copy Format: All in Response1 graph, you will see a lot of options. You can always Ctrl+Z to Undo. If you right click X axis to paste format, the Paste Format to will not show different Axis options since it will paste to this selected axis only. Press Shift key when you select submenus under Paste Format To, Apply Format dialog will open with more options. 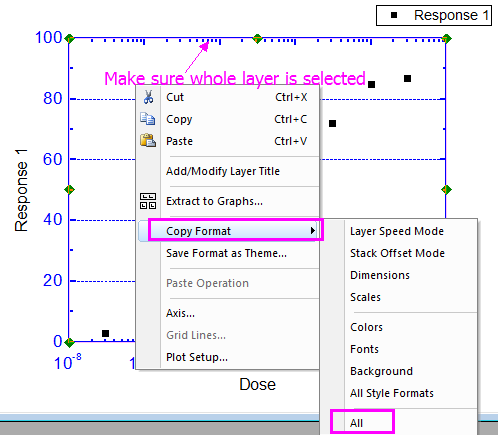 To copy both X and Y axis, click in white space in Reponse1 graph to select the layer frame. Then right click and choose Copy Format: All. 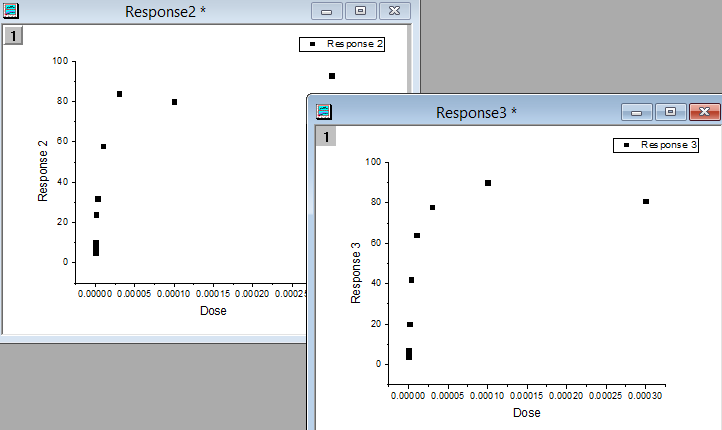 Then go to Response2 and Response3 graphs to paste format. 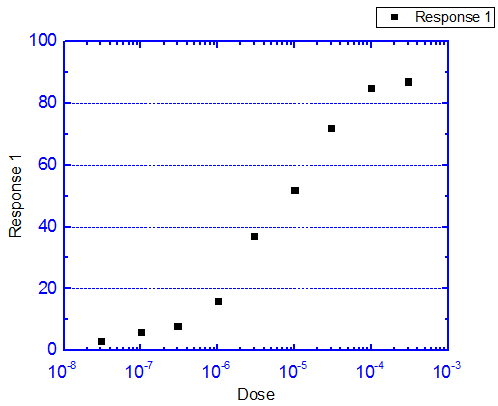 You will get consistent axis looks for all graphs as shown at the beginning of the blog. Save copied format as a theme file for future use. Modify/delete/add some properties of copied format before applying it. Load some saved themes instead of using copied format to apply. 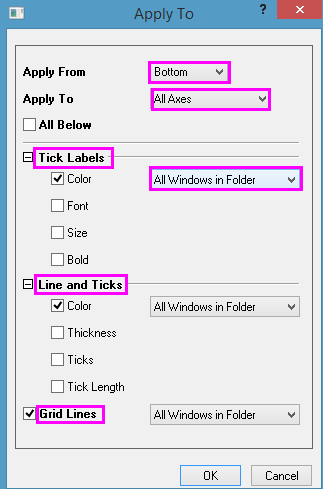 Apply format to more than one graph windows by changing Apply Scope.